A multi-cloud strategy offers the ability to select different cloud services or features from various cloud platforms. This is helpful since some cloud environments are more suitable than others for a particular task. For instance, one cloud platform might handle a large number of requests per unit time, involving few data transfers, while the other cloud platform might perform better for a small number of requests per unit time requiring large data transfers. Few cloud providers also offer specialized big data analytics tools or other specific capabilities, like cognitive services by Azure and machine learning by AWS. Most enterprises pursue a multi-cloud strategy due to uncertain cloud redundancy, reliability, and vendor lock-in. Connect your personal workstation to Azure VMs or Cloud services with private IP address. Connect your personal workstation to AWS VMs or Cloud services with private IP address. Connect Azure VMs to AWS VMs with private IP address. 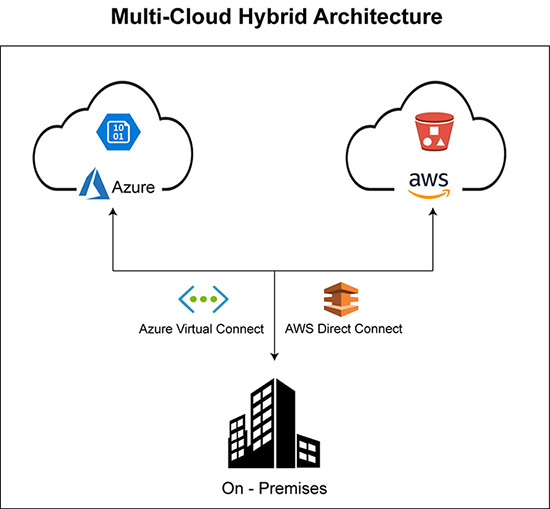 Why the customer wanted a Multi-Cloud environment?